The Vice President of Nigeria, Professor Yemi Osinbajo, announced at a National Conference on Sexual and Gender Based Violence Response that Nigeria now has eleven sexual assault referral clinics in ten states. This is an increase from only three clinics in three states two years before, and reflects the government’s efforts to increase access to protective services for victims of sexual and gender based assault. These clinics provide forensic, medical, legal and psychological services to victims. The Vice President explained that over the past three and a half years the Rule of Law Advisory Team has partnered with different organizations to establish Gender Based Violence Response Teams across the States. Due to these efforts, more States are adopting laws to hold perpetrators accountable. Currently, stakeholders are working to establish Standard Operational Guidelines which can provide standardized steps to be used across the country. 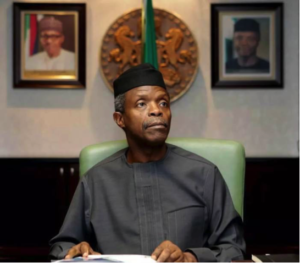 According to Vice President Osinbajo, these efforts are crucial because women bring value and prosperity to the nation and their exploitation must not be condoned.